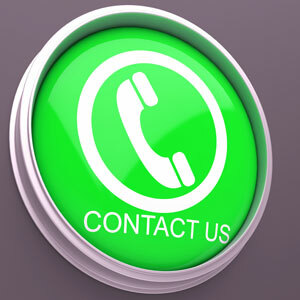 We would be happy to hear from you on any aspects of carpet and upholstery cleaning. Please contact us via the form below. We look forward to hearing from you. Having thoroughly clean carpets in your home leaves you with one less worry. Some would say professional carpet cleaning is a luxury and not a necessity. However, the following information goes to prove how this could not be further from the truth. There is a host of unhealthy contaminants that make their way into your carpets. Even the most clean homeowner cannot stop these pollutants. A function of carpets is to filter these, making the surrounding air healthier. This ability to screen is not infinite and carpets require cleaning to enable them to function. The following points offer clear reasons why cleaning carpets is a necessity rather than a luxury. A dirty, stained and unclean carpet is very off-putting and can offer a negative impression. Routine cleaning will keep on top of unavoidable accidents that result in carpet stains. Clean carpets will have the ability to filter bio contaminants, dust mites, outdoor pollutants, sand, soil, bacteria and food particles. This will stopp them from roaming around your home, keeping potential allergy problems at bay. Some carpet manufacturers will only honour their warranty guarantees if professional carpet cleaning is completed regularly. Cleaning receipts must be kept in order to fall in line with the pre-requisites of such companies. Foot traffic inevitably grinds soil and particles against the fibres and causes a sand-paper effect. This results in the fibres looking dull, worn and unattractive. As carpets get worn they can begin to look tattered and in extreme cases threadbare. It is harder to fully restore uncared for carpets rather than to keep on top of regular cleaning. We offer comprehensive services at competitive prices, offering value and avoiding the cost of fully replacing your carpets.